Sweat Sesh: 2 mile walk to store and back. Yes, I did get sweaty. It was hot out and this eskimo bundled up. I always underestimate the temps. Yesterday went good, except for a couple small Whole30 fails. When making dinner’s cauli mash I threw in a tbsp of grass-fed butter without even thinking about it. Halfway through mashing I realized butter=dairy. FAIL. Second snafu: bacon. I swore our butcher said the bacon was sugar-free, so Cj and I had a few slices as our nighttime treat. This morning I wanted to make sure so I did some research on the butcher’s supplier. Sure enough it’s “brown sugar cured bacon”. FAILLLL. So no more of our favorite bacon. I’m going to try and hunt some down today, as Cj was heartbroken when I told him ours was a no no. Yesterday’s breakfast was a big kombucha and a hard-boiled egg. Love those. 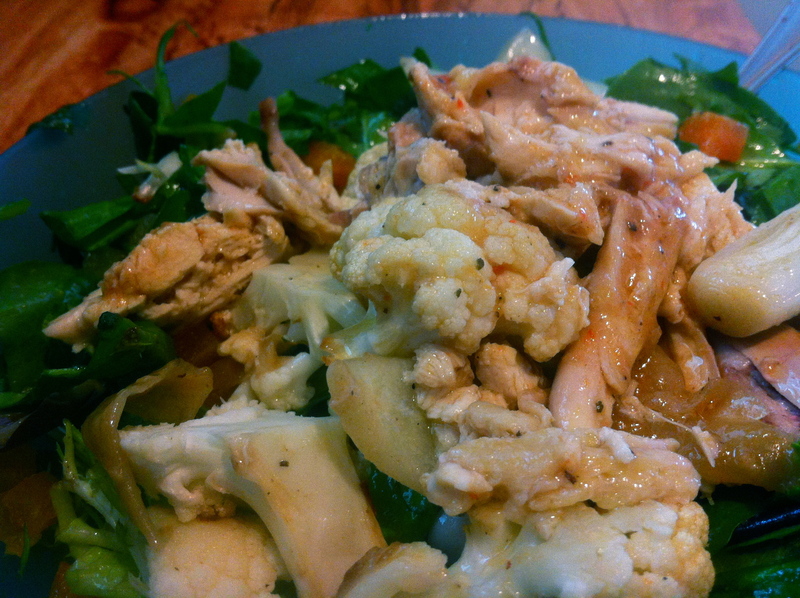 After work I whipped up a super fast salad, which had spinach, mixed greens, leftover roasted cauliflower & onions, two dried turkish apricots, orange bell pepper, and leftover chicken & gravy. olive oil, red wine vinegar, dijon, dried basil, dried thyme, dried oregano, onion powder, garlic powder, salt, and pepper. It was good, but I’ll probably tinker around with it some more next time. 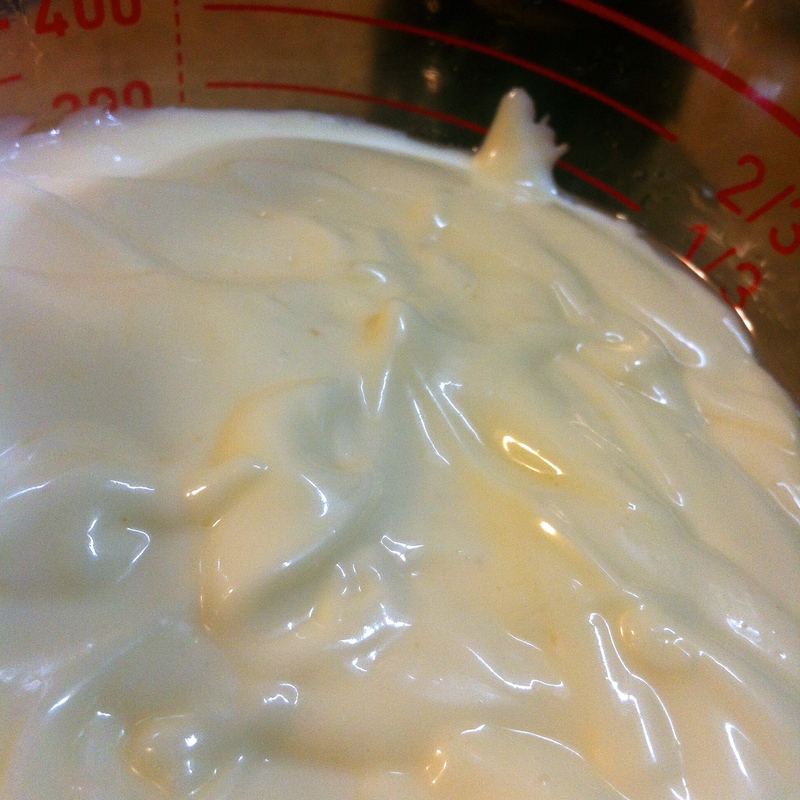 After lunch I blitzed up a batch of homemade paleo mayonnaise. I’m not a huge mayo fan, but CJ has been craving ranch dressing like no other. … made for a good ranch dressing. If Cj likes it, then it can’t be too bad. I also snacked on too many roasted nuts. Can’t win ’em all. 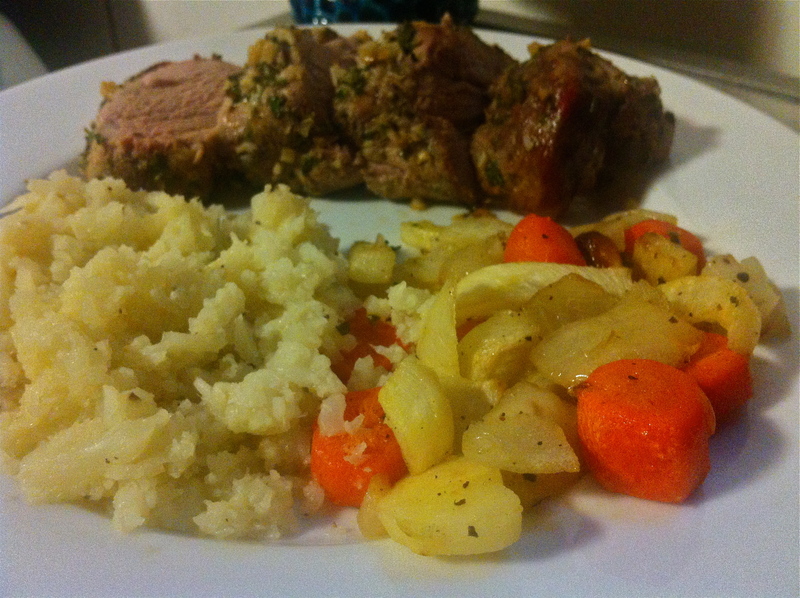 Dinner was herb-crusted pork tenderloin with roasted root vegetables and cauliflower mash, aka divine. 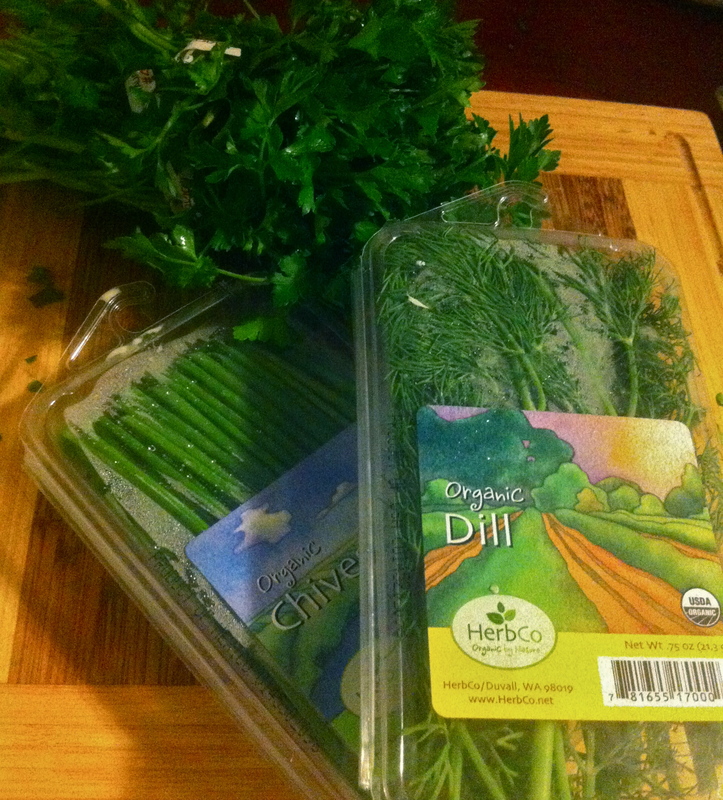 I chopped up 1tbsp each of fresh rosemary, fresh chives, and fresh parsley. 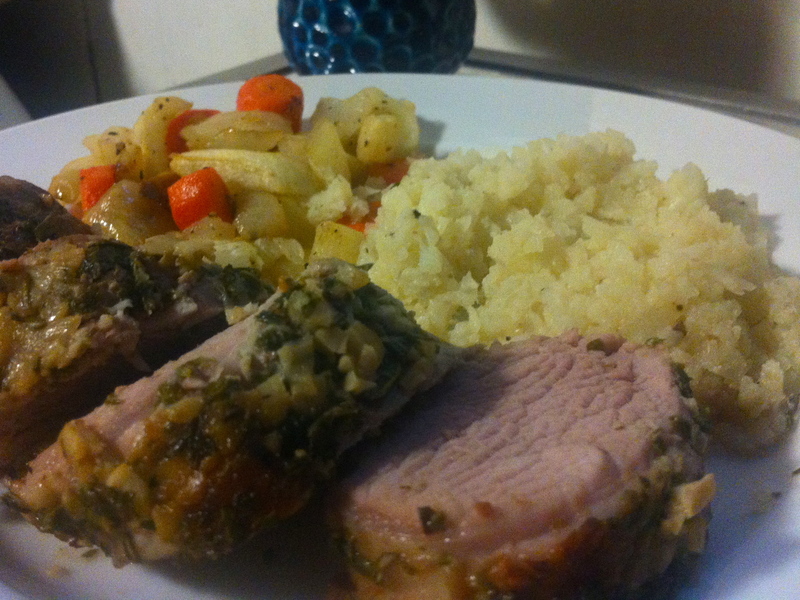 Mixed it with some olive oil and slathered it all over the pork tenderloin. It cooked for 20 minutes at 475, and then for an additional 20 at 400. I forgot I broke my meat thermometer, so I overcooked the pork a tad longer than necessary just to be safe. It wasn’t as pink as I prefer, but it was still juicy and tender. For the veggies, I peeled and chopped carrots, parsnips, turnips, and an onion. Coated them in coconut oil, salt, and pepper and threw them in the oven for about 35 minutes. We had never had turnips before, but now we know they’re good! Reminded me of Thanksgiving. The cauli mash was just cauli cooked in chicken stock and garlic, then mashed up and served.